Here’s a brain teaser: without looking anything up, try to picture a meal in your head that’s 20% carbs, 25% protein, and 55% fat. If your mental picture looks like one big question mark, you’re not alone. Saying “20% carbs” is nice and all, but people don’t eat percentages; we eat food. 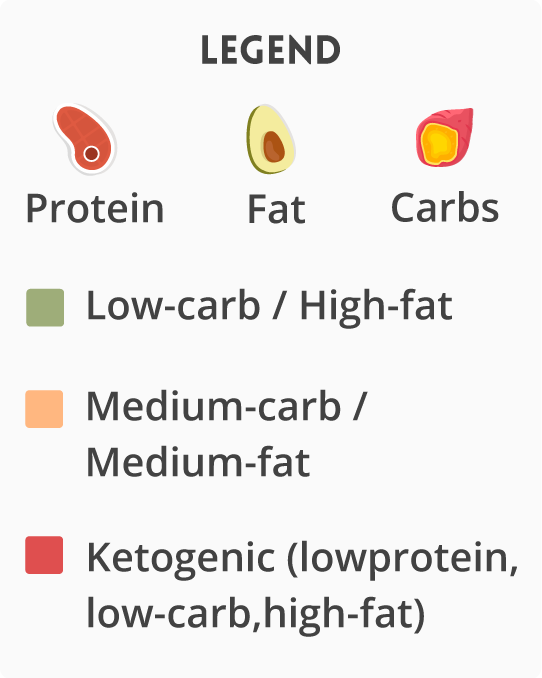 So here’s a guide to roughly what those numbers look like, in actual foods.